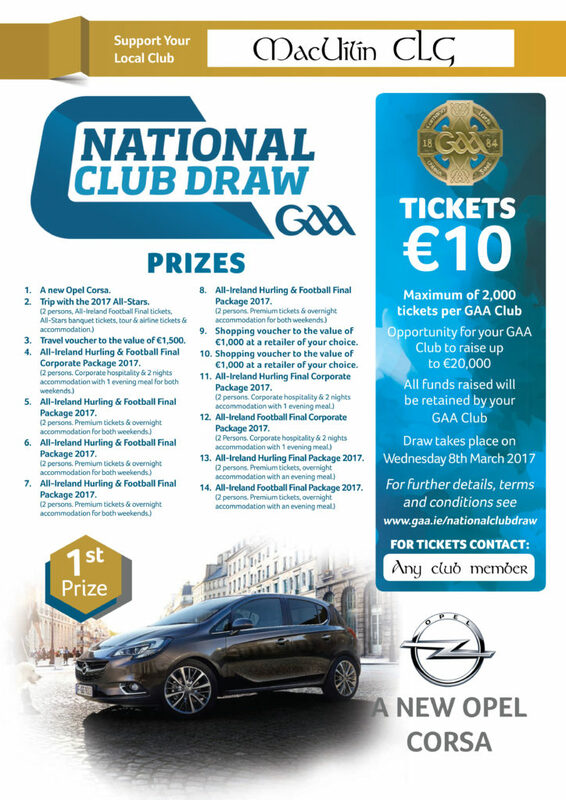 National Club Draw tickets are now on sale. Tickets £10 each with all ticket sales going to the club. Prizes listed below. Tickets available from any committee member.